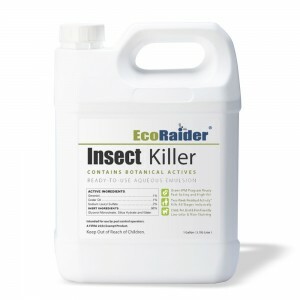 EcoRaider® Insect Killer RTU is a plant based broad-spectrum bio-insecticide. 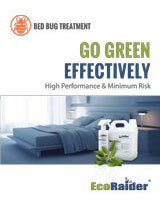 It effectively controls bed bug’s and other pest insects’ defense and resistance mechanism quickly and irreversibly. The ready-to-use (RTU) formula is optimized to achieve the highest efficacy and maximize residual effectiveness, which is proven by lab research and field studies. 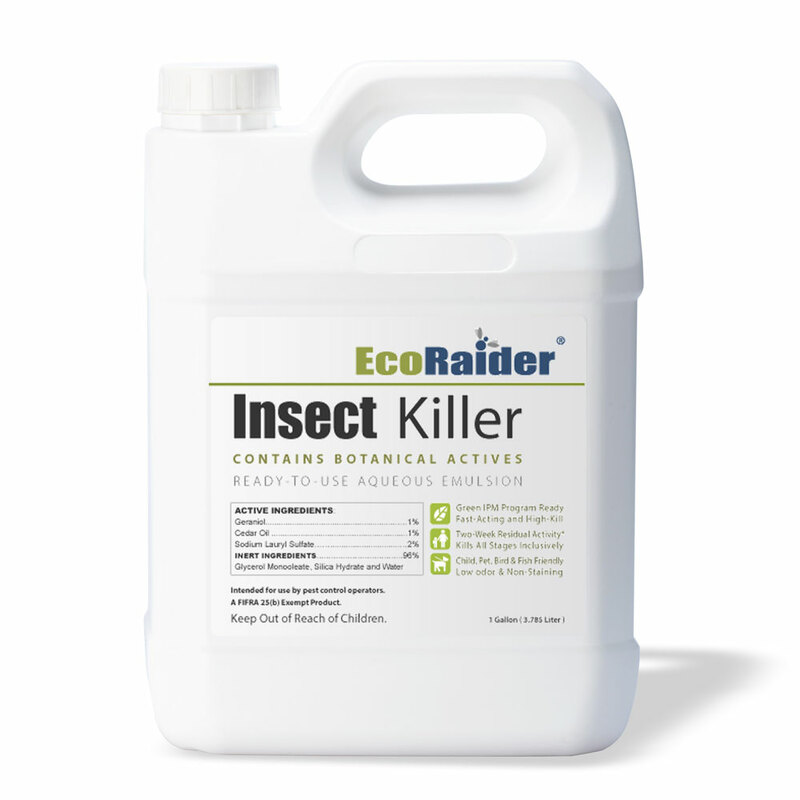 EcoRaider® Insect Killer RTU is a minimum risk pest control product under EPA regulations. It carries no signal words or cautions, has no label restrictions or precautions on usage, and is a green product, making it an ideal fit for sensitive accounts and environments where low-impact methods are advised. It can be used alone as primary treatment method or part of any IPM program and be used in various settings, including schools, health-care facilities and public spaces. 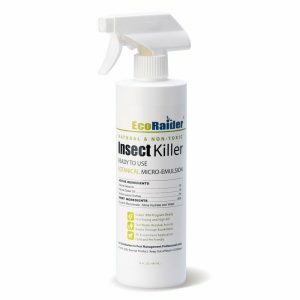 EcoRaider® Insect Killer RTU currently comes with two packaging size: 16 oz bottle with spray applicator and 1 gallon jug. Kills all bed bug stages on contact: adults, nymphs and eggs. No compromising on resistant populations. Lab reported 14-day Residual Activity. 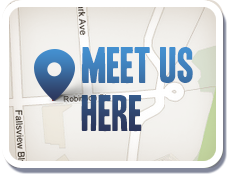 Meet Our Reps in Your Area! 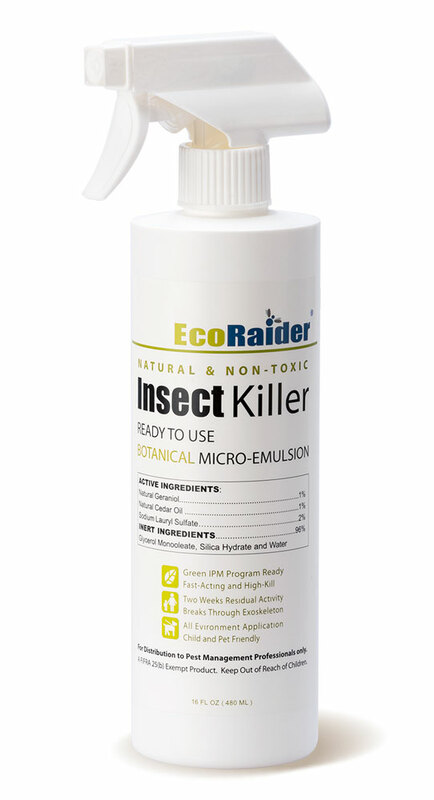 Presenting EcoRaider at PestWorld, Oct. 2015, Nashville, TN. 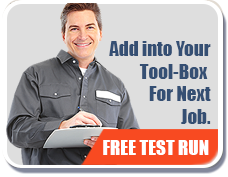 Step by Step instruction of how to use EcoRaider to its best performance. Does EcoRaider have any odor? 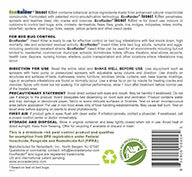 EcoRaider has low odor. There is slight natural woody scent from botanical extracts. Odor dissipates in 1-2 hours. Will EcoRaider freeze in cold weather? Does freezing affect its performance? EcoRaider is a water based emulsion which may freeze when temperatures drop below freezing. Simply thaw by placing container in warm water or leave at room temperature. Do not use unless EcoRaider is back to room temperature. Shake well before use. 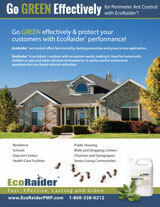 Freezing and thawing will not affect EcoRaider’s performance. Yes. EcoRaider can be used directly on bedding and linen, because all the ingredients are of minimum risk to people and pets and are in compliance with FDA GRAS (Generally Recognized as Safe) standards. EcoRaider will not cause staining under normal use. However certain naturally derived substance in this product may cause slight discoloration on delicate surface such as silk or certain dark color textile materials, it is recommended to test on small area before the treatment. If discoloration happens, it is removable using household detergent or cleaner.